“Blanket Fort Chats” is a semi-regular column featuring women and nonbinary game makers talking about the craft of making games. 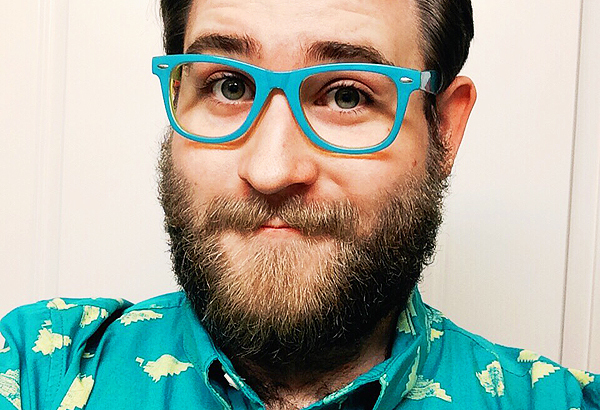 In this week’s post, we feature Philip Jones, a nonbinary games professional best known as the editor of the queer cyberpunk adventure 2064: Read Only Memories and the expo hall director for the LGBTQIA+ games convention GaymerX. Miss N: Can you tell us a little bit about your background and how you got into making games? Philip: I’ve known I wanted to be in games since I was very young; I’d been writing and podcasting for fan and news sites since I was twelve. I first launched my own podcast project at 16 and went on to have the subject of the game’s creative director on for three exclusive interviews. Kept a couple contacts and soon met Toni Rocca [GaymerX Convention President] online.